Delhi’s foodies are keeping their fingers — and palates — crossed that the trickle turns into a flood before long.Restaurants are opening at the rate of one a week. Most of these are of the stand-alone sort. Of these, Food Heritage in Hauz Khas Village is the brainchild of three young people. Sheemita Saxena’s first love may be sculpting, but she’s from a family of foodies. Anoop Pillai and Vivek Vatsyayan are catering college graduates. Their collective kitty ran to a tiny eight-table eatery. Given that Sheemita’s a graduate from Delhi College of Art, it’s not surprising that the walls of Food Heritage (ignore the name — it does little justice to the place) are a pastiche of colourful murals, collages in mixed media and charcoal drawings.If the music (Shiva and Buddha chants) and the many-hued decor sets the place apart, the food tries to be adventurous while not straying too far from the straight and narrow. So,kababs run the gamut of tangri, burra and seekh, all succulent enough, while hardly setting the Yamuna on fire. What is exceptional are two dishes cooked painstakingly by Sheemita’s mother at home and transported to the outlet. 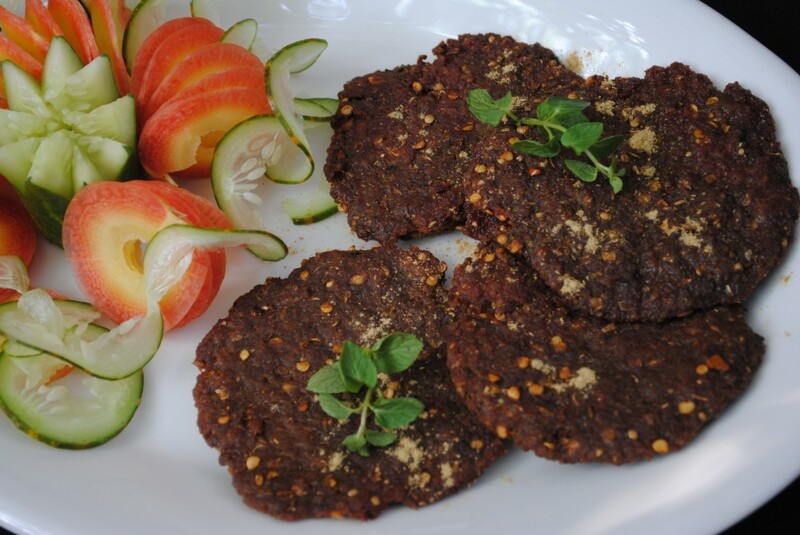 Mutton shammi kabab and nihari ghosh, two high water marks of home-style Kayasth cooking, are prepared for Food Heritage according to recipes handed down from the cook of the royal family of Dholpur. It’s a shame that logistics do not permit Shashi Saxena herself to run the kitchen because her talent is obvious.The other offerings on the menu, pleasant though they are, patently are not in the same league. Chef Irfan has put together a menu to delight the heart of the average diner. The only problem is that Food Heritage, with its delightful young proprietors and chirpy decor is streets ahead ofthe average dining experience. Neither is putting together a vegetarian menu child’s play.Usually that important class of diners me given short shrift via paneer and mushrooms. Vegetarians tend to be looked upon as the poor cousins,while non-vegetarians are the favoured gastronomes. Happily, things are beginning to look up, so that when The Park, New Delhi mooted the idea of a kabab festival, executive chef Kalp Mithal set to work putting together a selection of never-done-before vegetarian kababs. Most of them are tangy wedges of paneer flavoured with pickle, tandoori salad with marinated fruit and vegetables including pineapple, and chatpate tandoori aloo featuring stuffed fried baby potatoes. However, it’s the intriguing subz galouti which gives the others a run for their money.